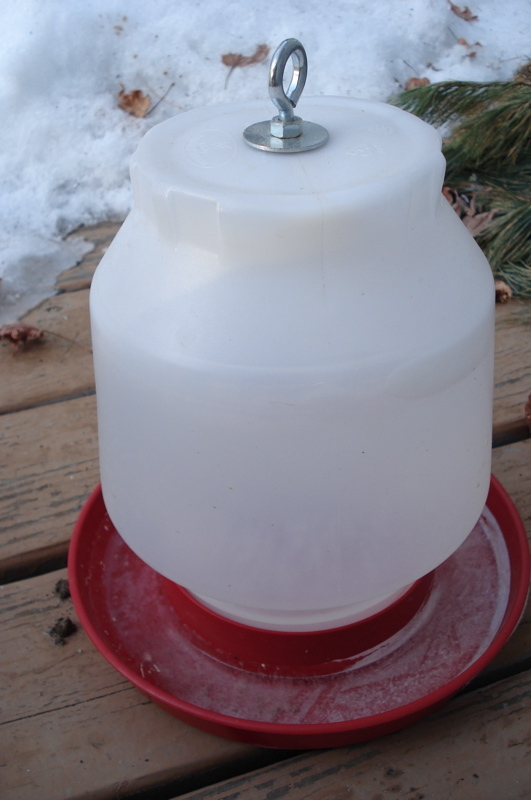 With an overnight low of just 5 degrees, it is certain that the hens’ water has frozen. I have easily fallen into a morning routine, this first winter of keeping hens. 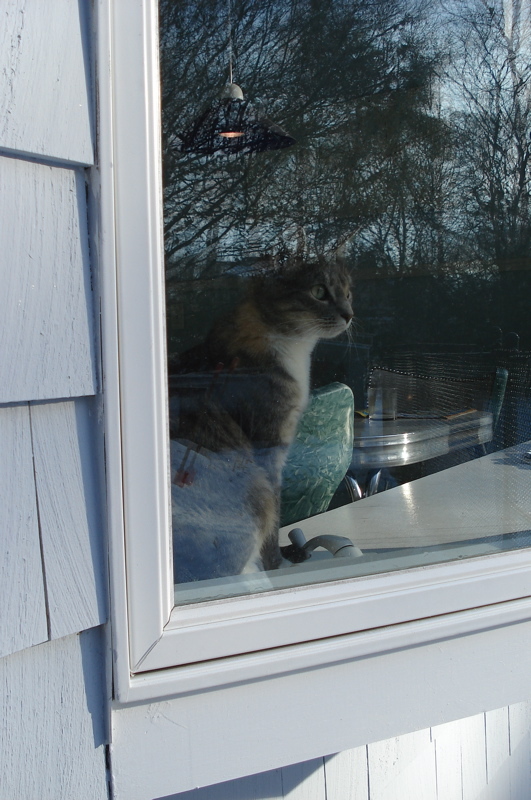 I hop onto the frosty deck, still barefoot, and grab yesterday’s waterer. We keep two waterers, one in use in the coop while the other waits, literally, on deck. 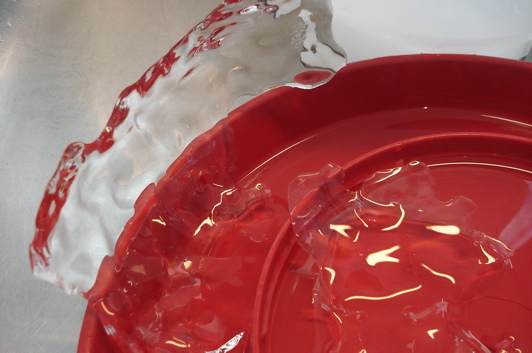 I bring the plastic waterer inside and start thawing it in the sink by running hot water over it. 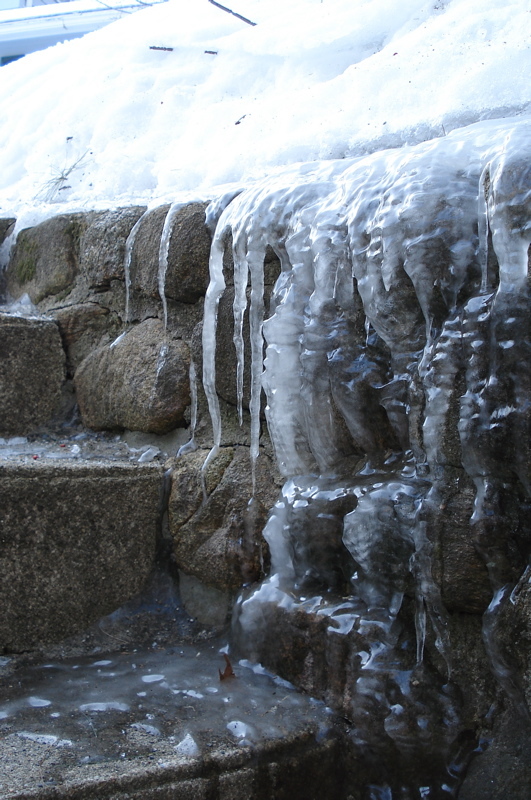 I enjoy watching the patterns that form as the ice melts and always think how pretty the ice looks, so wet and clear. I refill the waterer, grab the chicken bowl and head out to the coop. Depending on the temperature, I am sometimes accompanied by the cat. This morning it is just too cold. The hens hear me coming and start their low bawkkkk bawkkkk calls that almost sound to me like growls. Maybe purrs would be a better word, I think they are happy realizing they are about to be let out into the run. The morning frost has frozen the latches shut, so I have to briefly hold them in my hands to get them to open. They are so cold they burn a bit. The hens are getting impatient. Finally, I can open the door, and our four big, pretty hens are waiting. I’m not sure if hens can be Rubenesque, but with their pretty cream and buff coloring and their full-figures, I think they fit the bill. 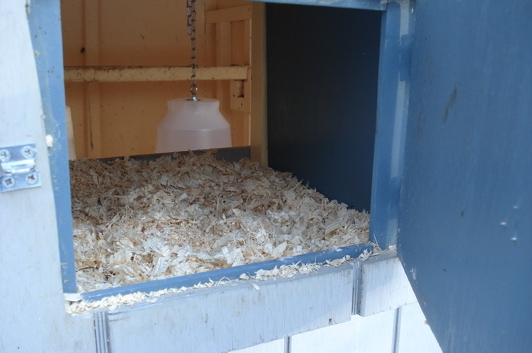 I dump the chicken bowl into the shavings in the coop, and switch the iced waterer for the new one while the hens fight over the grapes. The contents of the chicken bowl reflect the cast-offs of the previous day. The rejected toast and sandwich crusts, Life cereal, wrinkly grapes, small bits of American cheese and Annie’s Mac and Cheese rejected yesterday are gladly gobbled by the hens. 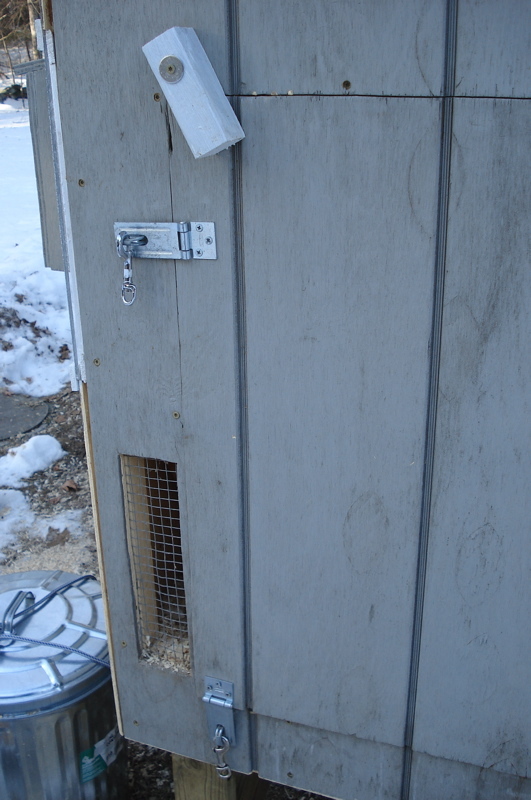 I close and latch the coop door, and open the pop door into the run. Usually the hens immediately run out, but this morning the scraps are too good to leave. 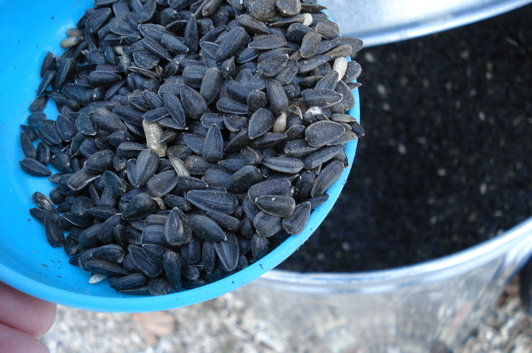 I open up the small galvanized can that holds the black oiled sunflower seeds and the sound of the small scoop running through the seeds calls the hens into the run. 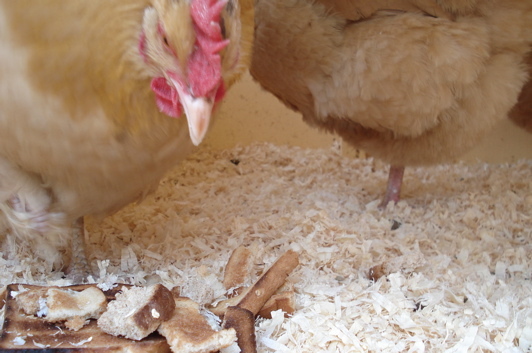 I sprinkle out their morning treat, and then check the nest box for eggs. None yet today. Winter has slowed their egg production to only one or two per day, but it is still enough for us. I am grateful for our hens. Not just for their amazing parlor trick of producing eggs from our garbage, but because they force me to go out every winter morning, at least for a few minutes, and experience the crisp and quiet cold. 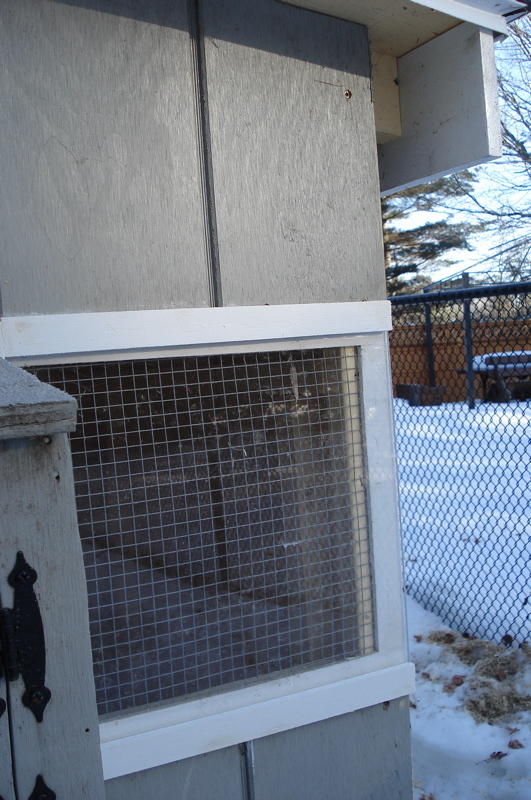 This entry was posted in Hens and Chicks and tagged chickens, hens. Bookmark the permalink. 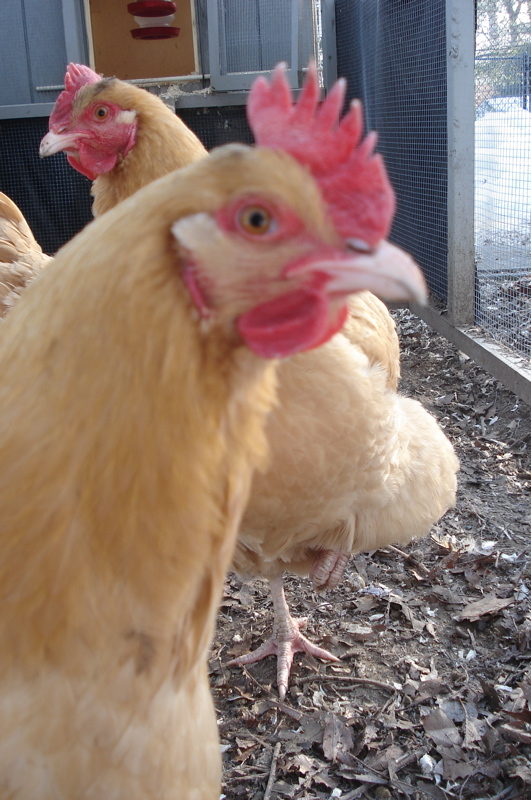 I love this glimpse into your chicken-rearing life! Love the photos too. Thanks Marie. I can see why having a “Jim the intrepid photographer” is so important! I also see why many blog photos are landscape rather than portrait, too skinny! This is going to be fun. Thanks for stopping by. Hi Chris. I enjoyed it. Keep up the good work. The chickens are gorgeous actually. So is the bread. Thanks Dawn, I think they are awfully pretty too. Hope all is well with you and yours. Nice story with wonderfully interjected humor! Also, yummy looking bread. The chickens that we had and now the ducks, will lay eggs (unless they are molting), based on the number of hours of day light. We have a light with a timer. There are days when we have over 2 dozen eggs. 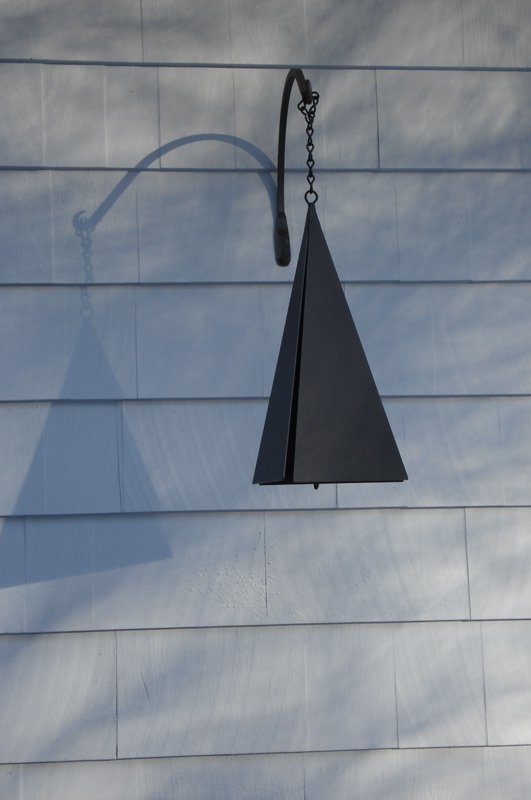 We cut back the light to adjust for our needs and for our customers. Currently, our gregarious ducks don’t seem to mind the winter. Keep us posted! I haven’t put a light in the coop, I don’t mind giving the chickens a rest in winter, and one or two eggs everyday still adds up quickly for us. I’ll be curious to see when they start laying more, the light here seems to have increased a lot, but no change in the laying yet.